The following is an English translation of a recent interview with Bat Ye'or by Pierre Itshak Lurcat in the September 23, 2018 eition of Druez.info. The original French version with pictures follows. I have known Bat Ye'or for almost 30 years. 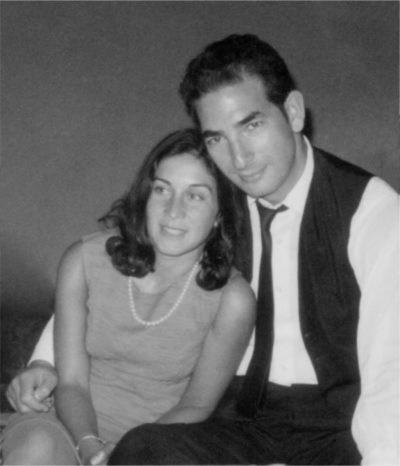 Our first meeting dates from the late 1980s, during a conference organized by the France-Israel Association and its then president, Michel Darmon. She was then in the middle of her career as a historian and had not yet reached the international notoriety that earned her most famous book, whose name has now entered the contemporary political vocabulary: Eurabia. I interviewed her several times about her work and her various works (1). But the interview she gave me on the occasion of the publication of her political autobiography is different. 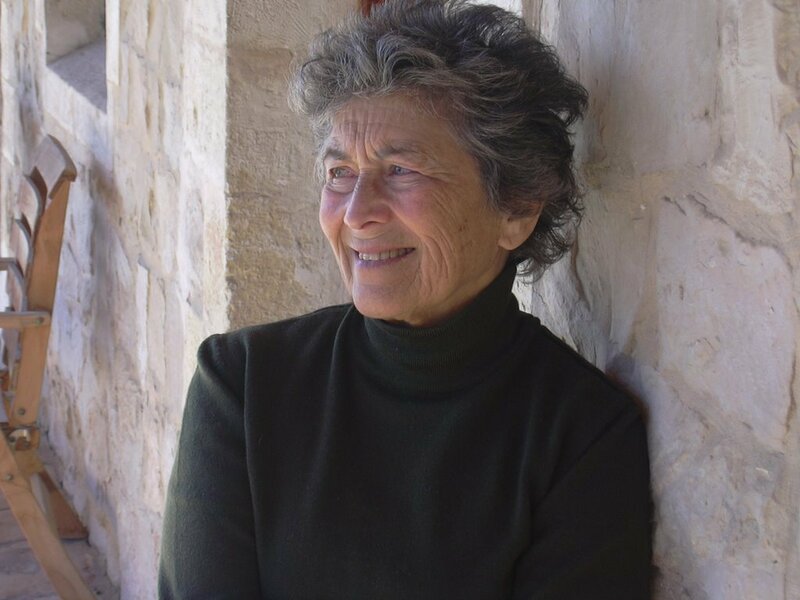 Bat Ye'or has indeed agreed to talk not only about the subjects of her books, all fascinating, but also about her intellectual and personal journey and her life alongside David Littman, her husband who died six years ago. The collaboration between David and his wife was not only intellectual. Their love affair, reported with modesty in the autobiography of Bat Ye'or, is also a story of courage and adventure, because Littman was not a historian locked in libraries and archives, was a real globetrotter. "We spent three months in Asia. David wanted to go from India to Afghanistan, but I was too sick and he gave up. Over the years and with a family, David gave up his adventurous side to live with me. " "David was very generous to me. He had techniques acquired at the university. I was more impulsive in my writing. He controlled my sources. He did not let me write and publish without his control ... We did not always have the same opinions. He read my work and gave me books, articles that would interest me and that I did not have time to go for ". of her husband. However, he played an important role in Bat Ye'or's work, as confirmed by this one. We now approach the relationship between Littman and Bernard Lewis, the famous American orientalist, who recently died at the age of 102. Bat Ye'or takes a critical look at Lewis' work, notably because of his attitude towards the Armenian genocide (Lewis having contested the Armenian Genocide, adopting more or less the Turkish version of the history of the genocide). "When I read Lewis's books, I found in some areas errors and generalizations, despite his immense knowledge and erudition." Bat Ye'or emphasizes Lewis' rejection of the generic concept (of which she is the inventor) of dhimmitude - that is, a condition common to all peoples subjugated by jihad and ruled by Sharia. He had a very favorable opinion of this condition. P.L. He replaced the taste of the physical adventure by that of the intellectual adventure? B.Y. "He was a man of action, even more than an intellectual. I have always had the remorse of not having written a book on Operation Mural ". After this operation - during which David and Bat Ye'or organized the illegal departure of five hundred and thirty Jewish children from Morocco to Israel (1), Israel proposed a new mission to Djerba, but David, after careful reflection, had to refuse. We volunteered to help the Jewish children of Morocco, wanting to perform a mitzvah, but back we wanted to complete our studies. I ask her how she explains such an attitude on the part of a world-famous scientist. "There can be many reasons. The love we have for the civilization we are studying. Professional interests, political prudence. And especially the parallel with the Shoah, unparalleled monstrosity. Lewis only became interested in religious minorities late after me. He was rather a specialist in Ottoman civilization, a Turkologist. This is another area. As for me, I was lucky to be independent. I understand the scruples of those who fear losing their jobs. " The talk is incisive, and the seeming indulgence barely conceals a very harsh criticism of Lewis and many other researchers, who have not had the intellectual audacity of Bat Ye'or. We are now talking about the most controversial subject of his work, that of Eurabia, the theme of his most famous book, which is still very current. In an interview in 2009, she defined Eurabia as follows: "It is a new continent that is emerging, a continent of hybrid culture, Arab-European. European culture, in its Judeo-Christian foundations, is gradually weakening, and disappearing to be replaced by a new symbiosis, Islamic-Christian ". I ask her if she sees an evolution in this regard since 2009. "Governments fear (today) the rebellion of their peoples. Because now, these people are seeing the results of their decisions ... And they are against the policy of Eurabia. But one cannot easily change an ideology and its governmental structures established for four decades. We also mention the news of Eurabia, about the recent lawsuit against the historian Georges Bensoussan, victim of the "judicial jihad" (he has just been released by the Court of Appeal of Paris). B.Y. : "Bensoussan was the ideal target. It is the man and his work that were targeted through this process ". My initial project was to write about the condition of the Jews of the Arab countries. I had met many who had been expelled from their home country and I interviewed them ... I was asked to be one of the founding members of WOJAC, the international association of Jews in Arab countries. We had all lived the same story of persecutions, spoliations and expulsions ... 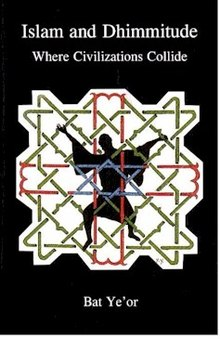 It was during my research that I discovered the condition of the dhimmi, which was the subject of my book The Dhimmi, published in 1980. After its publication, Christians contacted me, and I began to take an interest in the Islamization of Christian countries, to which I devoted another book. You have actually discovered an unexplored pan of world history. - There were very good monographs dealing with the theme of Islamic conquest, but always from the point of view of the victor ... I placed myself from the point of view of the conquered populations, that is to say the dhimmis. That's why I was attacked, because I included Jews and Christians in the same concept. At that time no historian spoke of Jihad. It was an almost taboo term, because it contradicted the myth of peaceful coexistence in the land of Islam, which I named as the "Andalusian myth". "The source of most discrimination of dhimmitude is found in the laws of the status of Jews and schismatically Christians under the canon law of the Church and Byzantine law. Orientalist Louis Gardet noted this similarity. However, even though some restrictions are identical, their theological justifications differ in Islam and Christianity and in some respects the status of the dhimmi is more severe than that of the Jew in some Christian countries. Thus it was never forbidden for European Jews to go out on foot or ride horses. The Lateran Council (1215) took over the Rouelle de Islam, which for centuries had been imposing infamous slanderous and other distinctive signs on Jews and Christians. In Islam, Jews and Christians have the same status. Today we find this community of destiny in Eurabia, where terrorism (of which the Jews were the first victims) turns against Christians, and against the West in general, just like the dhimmitude imposed by the Church. went against the Christians. To conclude our interview, I ask her if she thinks that a hope of reforming Islam exists. "It's not up to us to decide. It is up to us to say all this, to choose policies that take into account all of this ... (as Viktor Orban does in Hungary). This will encourage the many Muslims to want to modernize Islam, to act in their country and among their people. Reproduction authorized with the following mention: © Pierre Lurçat (April 2018) for Dreuz.info. (1) See; inter alia, interview in Jerusalem Post, 2 January 2007, "From dhimmitude to Eurabia". "The Swiss referendum is a defeat of Eurabia", December 2, 2009. Interview about his book Europe and the Caliphate, November 2010. And more recently, "Bat Ye'or responds to his critics", February 2018. Je connais Bat Ye’or depuis près de 30 ans. Notre première rencontre date de la fin des années 1980, à l’occasion d’une conférence organisée par l’Association France-Israël et son président d’alors, Michel Darmon. Elle était alors au milieu de sa carrière d’historienne et n’avait pas encore atteint la notoriété internationale que lui valu son livre le plus fameux, dont le nom est désormais entré dans le vocabulaire politique contemporain: Eurabia. Je l’ai interviewée à plusieurs reprises sur ses travaux et sur ses différents ouvrages (1). Mais l’entretien qu’elle m’a accordé à l’occasion de la parution de son autobiographie politique, est différent. Bat Ye’or a en effet accepté de parler non seulement des sujets de ses livres, tous passionnants, mais aussi de son parcours intellectuel et personnel et de sa vie aux côtés de David Littman, son mari décédé il y a six ans. Bat Ye’or nous reçoit dans sa maison sur les rives du lac de Genève, en Suisse, où elle vit depuis plusieurs décennies. Notre entretien porte tout d’abord sur la personnalité et l’action de celui qui a partagé sa vie et ses combats, David Littman. 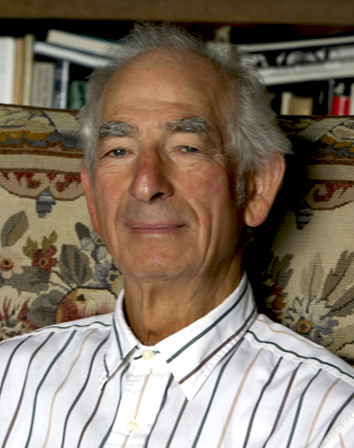 Un récent article de Jean Birnbaum dans le Monde des livres présentait Bat Ye’or de manière caricaturale, en omettant entièrement le nom de son mari. Or, celui-ci a joué un rôle important dans l’oeuvre de Bat Ye’or, comme me le confirme celle-ci. “David a été très généreux avec moi. Il disposait de techniques acquises à l’université. J’étais plus impulsive dans mon écriture. Il contrôlait mes sources. Il ne me laissait pas écrire et publier sans son contrôle… Nous n’avions pas toujours les mêmes opinions. Il lisait mon travail et me procurait des livres, des articles qui m’intéresseraient et que je n’avais pas le temps d’aller chercher”. La collaboration entre David et son épouse n’était pas seulement intellectuelle. Leur histoire d’amour, relatée avec pudeur dans l’autobiographie de Bat Ye’or, est aussi une histoire de courage et d’aventure, car Littman n’était pas un historien enfermé dans les bibliothèques et les salles d’archives, c’était un véritable globe-trotter. “Nous avons passé trois mois en Asie. David voulait poursuivre des Indes jusqu’en Afghanistan, mais j’étais trop malade et il y a renoncé. Au fil des ans et avec une famille, David a renoncé à son côté aventureux pour vivre avec moi”. P.L. Il a remplacé le goût de l’aventure physique par celui de l’aventure intellectuelle? B.Y. “C’était un homme d’action, plus encore qu’un intellectuel. J’ai toujours eu le remords de ne pas avoir écrit un livre sur l’opération Mural”. Après cette opération – au cours de laquelle David et Bat Ye’or ont organisé le départ clandestin de cinq cent trente enfants juifs du Maroc vers Israël (1), Israël lui a proposé une nouvelle mission à Djerba, mais David, après mûre réflexion, a dû refuser. Nous nous étions engagés bénévolement pour aider les enfants juifs du Maroc, voulant accomplir une mitsva, mais de retour, nous voulions achever nos études. Nous abordons à présent les rapports entre les Littman et Bernard Lewis, le célèbre orientaliste américain, récemment décédé à l’âge de 102 ans. Bat Ye’or porte un regard critique sur l’oeuvre de Lewis, notamment en raison de son attitude à l’égard du génocide arménien (Lewis ayant contesté le génocide arménien, en adoptant peu ou prou la version turque de l’histoire du génocide). « Quand je lisais les livres de Lewis, j’y trouvais dans certains domaines des erreurs et des généralisations, malgré son immense savoir et son érudition”. Bat Ye’or souligne le refus de Lewis du concept générique (dont elle est l’inventrice) de la dhimmitude – c’est-à-dire d’une condition commune à l’ensemble des peuples soumis par le djihad et gouvernés par la chariah. Il avait une opinion très favorable de cette condition. Je lui demande comment elle explique une telle attitude de la part d’un savant mondialement connu. Le propos est incisif, et l’indulgence apparente masque à peine un reproche très dur envers Lewis et beaucoup d’autres chercheurs, qui n’ont pas eu l’audace intellectuelle de Bat Ye’or. 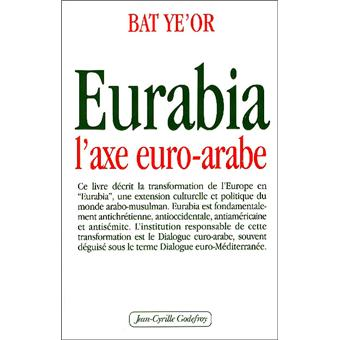 Nous parlons maintenant le sujet le plus controversé de ses travaux, celui d’Eurabia, thème de son livre le plus fameux et toujours très actuel. Dans une interview réalisée en 2009, elle définissait ainsi Eurabia : “C’est un nouveau continent qui est en train d’émerger, un continent de culture hybride, arabo-européenne. La culture européenne, dans ses fondements judéo-chrétiens, est en train de s’affaiblir progressivement, et de disparaître pour être remplacée par une nouvelle symbiose, islamo-chrétienne”. Je lui demande si elle voit une évolution à cet égard depuis 2009. “Les gouvernements craignent (aujourd’hui) la rébellion de leurs peuples. Car maintenant, ces populations constatent les résultats de leurs décisions.…Et elles s’opposent à la politique d’Eurabia. Mais on ne peut changer facilement une idéologie et ses structures gouvernementales implantées depuis quatre décennies. Nous évoquons aussi l’actualité d’Eurabia, au sujet du récent procès contre l’historien Georges Bensoussan, victime du “djihad judiciaire” (il vient d’être relaxé par la Cour d’appel de Paris). B.Y. : “Bensoussan était la cible idéale. C’est l’homme et son oeuvre qui furent visés à travers ce procès”. Mon projet initial fut d’écrire sur la condition des Juifs des pays arabes. J’en avais rencontré un grand nombre qui avaient été expulsés de leur pays d’origine et je les avais interviewés… On me demanda d’être l’un des membres fondateurs du WOJAC, l’association internationale des Juifs des pays arabes. Nous avions tous vécu la même histoire, de persécutions, de spoliations et d’expulsions… C’est au cours de mes recherches que j’ai découvert la condition du dhimmi, qui a fait l’objet de mon livre Le Dhimmi, paru en 1980. Après sa parution, des chrétiens me contactèrent, et je commençai à m’intéresser à l’islamisation des pays chrétiens, thème auquel j’ai consacré un autre livre. – Vous avez en fait découvert un pan inexploré de l’histoire mondiale. – Il existait de très bonnes monographies abordant le thème des conquêtes islamiques, mais toujours du point de vue du vainqueur… Je me suis placée du point de vue des populations conquises, c’est-à-dire des dhimmis. C’est la raison pour laquelle j’ai été attaquée, parce que j’englobais Juifs et chrétiens dans le même concept. A cette époque, aucun historien ne parlait encore de Djihad. C’était un terme presque tabou, parce qu’il contredisait le mythe de la coexistence pacifique en terre d’Islam, que j’ai désigné comme le « mythe andalou ». “La source de la plupart des discriminations de la dhimmitude se trouve dans les lois du statut des juifs et des chrétiens schismatiques selon le droit canon de l’Eglise et du droit byzantin. L’orientaliste Louis Gardet avait noté cette similitude. Cependant même si certaines restrictions sont identiques, leurs justifications théologiques diffèrent dans l’islam et le christianisme et à certains égards le statut du dhimmi est plus sévère que celui du juif dans certains pays chrétiens. Ainsi il ne fut jamais interdit aux juifs européens de sortir chaussés ou de monter à cheval. Le Concile de Latran (1215) a repris la Rouelle de l’islam, qui imposait depuis des siècles déjà des signes distinctifs infamants vestimentaires et autres aux juifs et aux chrétiens. Dans l’islam, les juifs et les chrétiens ont un statut identique. On retrouve aujourd’hui cette communauté de destin dans Eurabia, où le terrorisme (dont les Juifs ont été les premières victimes) se retourne contre les chrétiens, et contre l’Occident en général, tout comme la dhimmitude infligée par l’Eglise s’est retournée contre les chrétiens. Pour conclure notre entretien, je lui demande si elle pense qu’un espoir de réformer l’islam existe. “Ce n’est pas à nous d’en décider. Il nous appartient de dire tout cela, de choisir des politiques qui tiennent compte de tout cela… (comme le fait Viktor Orban en Hongrie). Cela encouragera les musulmans qui sont nombreux à vouloir moderniser l’islam, à agir dans leur pays et au sein de leur peuple. Reproduction autorisée avec la mention suivante : © Pierre Lurçat (avril 2018) pour Dreuz.info. 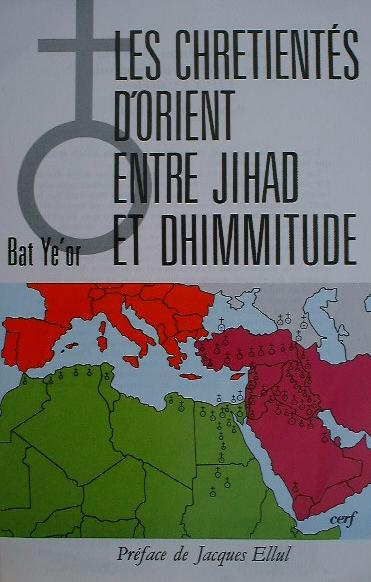 (1) Voir notamment, interview au Jérusalem Post, 2 janvier 2007, “De la dhimmitude à l’Eurabie”. “Le référendum suisse est une défaite d’Eurabia”, 2 décembre 2009. Interview au sujet de son livre L’Europe et le Califat, novembre 2010. Et plus récemment, “Bat Ye’or répond à ses détracteurs”, février 2018.